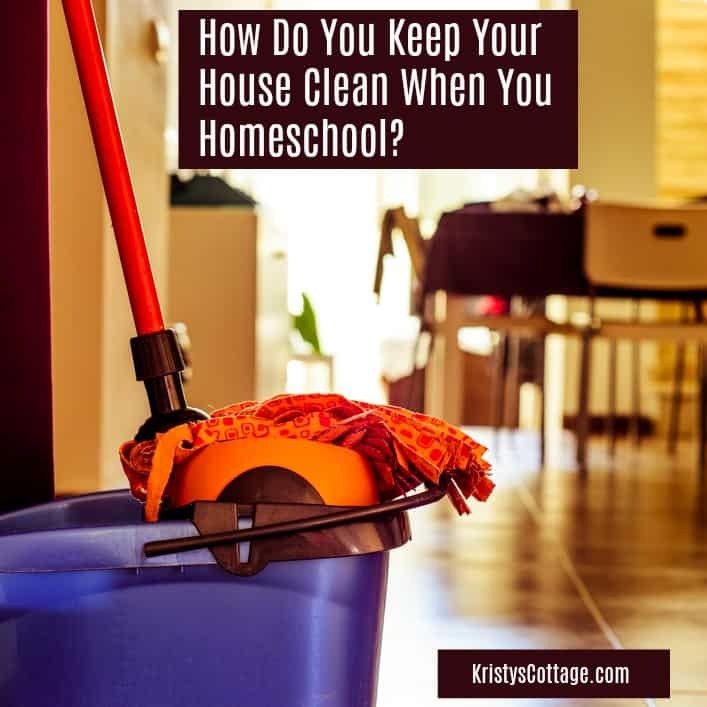 How Do You Keep Your House Clean When You Homeschool? 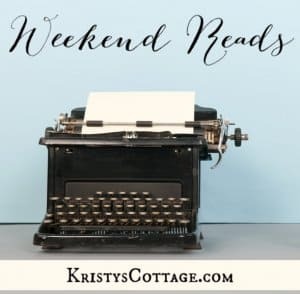 Our family is wrapping up week #10 of our year-round homeschooling for the 2014-2015 school year, and lately I’ve been sharing a little about some of the common challenges of being a homeschooling family. Challenges such as finding time to cook meals… and keeping the house clean livable! Menu planning and prepping sure helps a mama get meals on the table during the week, but how do you keep your house clean when you homeschool? Let me tell you, I’m not writing this blog post because I’ve found THE ANSWER to that challenge. Every school day, my dining room table is a wreck until we wrap up lessons around lunch time, then a clean-up routine is definitely in order so I can breathe a little until the next morning (I do hate clutter!). Overall, I would venture to say our home is orderly. Martha Steward organized? No way. Company ready at all times? Ha. Comfy and mostly tidy? Yes. Just don’t look in the garage. Just in case you’re rolling your eyes (or rolling on the floor laughing) right now, let me say that this really is a practical step. And I have really messed up at this point a lot as a mother. Neither scenario is particularly desirable, but we all probably tend toward one or the other. I like Sally Clarkson’s practical advice: Be calm. Teach kids to take responsibility and take action, but don’t over react to the “spilled milk” espisodes in life. Right now, I’m doing a lot habit training (read catch up work) with my kids. I wish I would have been more diligent when my older kids were preschoolers, since it’s a lot more of a challenge to replace bad habits than to cultivate good ones in the first place. Since I can’t go back, I’m making every day count so we can all move forward. I’m seeing a lot of progress, and that gives me hope. Training kids to keep up with daily chores is such a life-saver for a busy mom. Our dining room and kitchen are high traffic areas for dirt tracked in from outside, clutter, toys and school books. I agree with Sally Clarkson. Jeremy and I reward our kids for good behavior, helpfulness, doing chores with a good attitude, etc. My kids can also redeem their “tokens” for money, if they prefer to do that. There is also a “reward” (think sowing and reaping) for wrong or unacceptable behavior. Messy rooms, back talk, fighting, and the like, cause my kids to lose their “tokens”, free time, or whatever. How does this translate to a cleaner home? I haven’t had to clear the dining room table after school for weeks, since my kids are motivated to clean up after themselves (in order to earn a “token”). That works for me! My home is far from perfectly organized (I’d be embarrassed for you to see my closet right now!). But, I have learned that in order to maintain a semblance of order in my home, there has to be a measure of organization. For example: have you ever barked at your kids, “Get this bedroom clean NOW!” and then stomped out of the room? If your kids are half grown and at least half motivated, maybe the job got done. But, if your kids are young like mine, you can nag and fuss and threaten all week long, and the room is going to stay a mess. 2. Kids have to know where to put all their stuff. Bins, baskets, shelves and boxes are a mother’s best friends! 1. My kids each have a book bag or back pack; school books belong here at the end of the day. 2. We have jars and cute little buckets (repurposed herb pots) for school supplies, and these are to never leave the dining room! They belong on the buffet in the dining room when we’re not doing school work or a craft. 3. At the end of the week, school bags belong back in the “homeschool” closet in the living room. Out of sight! What do you expect your home to look like? 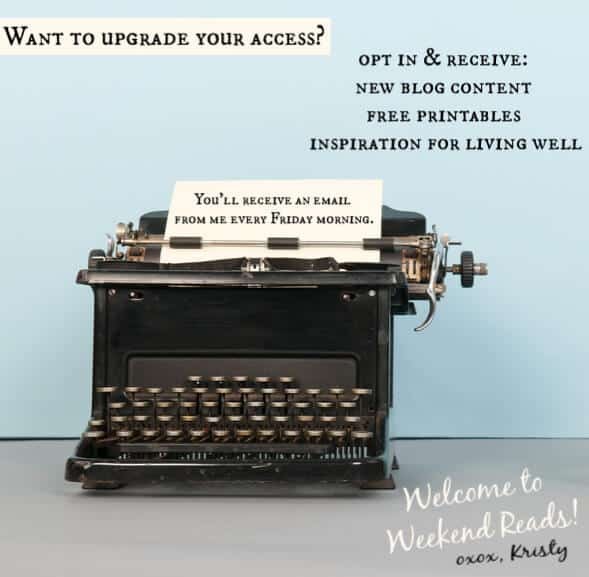 I love inspiring homemaking magazines, blogs, and Pinterest boards, but 99%of those aspirations aren’t practical in my life. My home looks lived-in, and that’s because it is. We live here. We work here. We learn here. We make messes and memories here. There’s nothing perfect about it. At all! If you drop by my home during the week, you’ll find clutter. You’ll find dust. You’ll find toys on the floor and shoes by the back door. Okay, and you’ll probably find at least a few dishes in the sink and the bathroom might not smell like a petunia. I had a whole lot of expectations about my house that had to go out the door when I became a homeschooling mom. My life gets messy, and I have to be okay with that. Some of the best advice I’ve ever received from another homeschooling mom is, Don’t try to deep clean every day of the week! Make ONE day cleaning day, and just maintain the rest of the week. My “cleaning day” has changed through the years, depending on our family dynamics and schedule. Right now, it’s Friday or Saturday. Weekends are when I vacuum, mop, dust (like once-a-month… ahem), and just give the house a good work over. Well, today I was sitting in the middle of our living room rug with my six and eight year olds, working through a phonics lesson. I couldn’t help noticing that the floor needs swept and the rug needs vacuumed. It’s the middle of the school week, and I can tell! Normally, this would drive me to distraction and make me feel irritated, but I know that my cleaning day is coming up. So I let it go. If someone comes over before I get the floor cleaned on Saturday… well, I guess they’ll get to see how I really live! 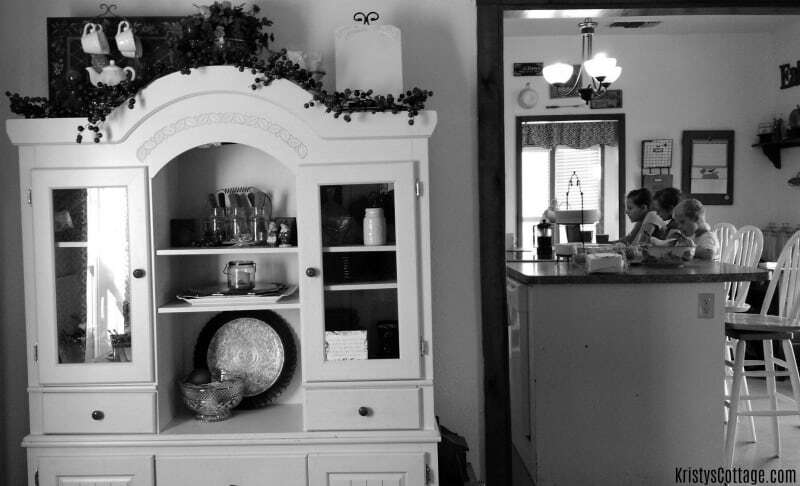 These are just a few thoughts and ideas I have about homemaking and homeschooling. Like I said, I don’t have all the answers and I certainly don’t have my act together all the time. I do strive to be a good steward of my time, home, and resources, and the Lord has to help me work out all the kinks in between! How do you keep your house clean during the homeschooling week? What works for you? Or, what doesn’t work so well? Great article! Thank you! Just a question, how early is too early to start training the kids? I have a 3.5 year old girl and two boys 2 years and 3 months. Any thoughts? Shira, it’s never really too early to start some measure of training. Over the years, I’ve learned to “train” my babies to understand simple phrases or words, such as “look at mommy” or “put away”, and of course the common phrases like “thank you” and “please”. As little ones grow into toddlers, this simple “training” translates well into obedience and character training since they already have a foundation to build on. As far as chore training goes, I like to keep things pretty simple. I’ve used The Chore Jar system for several years with my younger kids, as well as various chore charts (I’m pretty bad about not sticking with those! The Chore Jar worked better for me, since it’s very simple to keep up with). The overall theme for me is teaching good habits and character, which of course takes lots of time and consistency! Preschoolers, such as your daughter and oldest son, can start learning to do simple things like put their tooth brushes away, fold napkins when you set the table, help pick up their toys, put their shoes away in the closet, etc. In this stage, it takes at least twice as long to let them “help”, but don’t make the mistake I made a lot with some of my kids and just always do everything yourself. Be creative and think of ways to integrate your children into every-day-life-chores, that way they are developing a strong core of good habits. This is a very helpful post! Great ideas for keeping things “tidy” and livable. We use “chore pockets” – which are a lot like your chore jar. We made ours for free out of 8 x 12 poster paper folded in half to make an envelope. Each child decorated their own and we taped them to the bedroom doors. I wrote out “chores” on index cards (many of the same ones you have listed) and I rotate them around the pockets once a week. That way, the work is equally divided up according to ability and rotated around so everyone gets to do supper clean-up 🙂 Works for us. I also use “school baskets” like your backpack idea. All schoolbooks stay in the individual linen baskets and go on the bottom of the bookshelf when not in use. This is an overly long comment. Sorry. You just inspire me so much!!! And you inspire me! Love your ideas, Hilary, thank you for sharing! 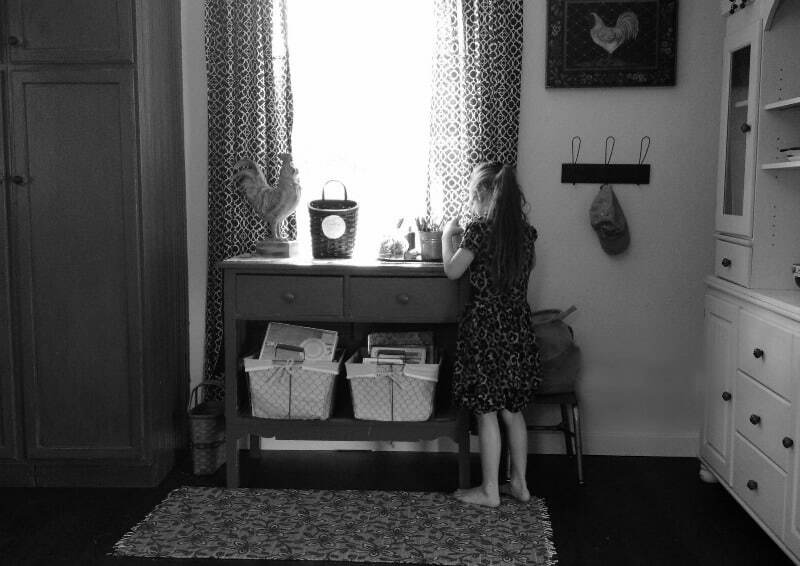 Thanks for sharing these practical steps in keeping a home tidy while homeschooling. Love your living room and the pillow that states “Relax”! You inspire me to do better. God bless you! YOU have always inspired me! Thank you so much for your godly example of motherhood. Excellent post. Great ideas but even more I love your honesty and humility. Thank you! I’m about to send you a fb message about a different subject. 🙂 Hugs. Great post. 🙂 I love your dining room hutch and your sink and faucet. Very pretty home. What helps me keep our home clean (I homeschool my two older boys, 8 and 5 and have a one year old) is to have a house cleaning schedule with just two or three things per day, such as dust, wash a load of laundry and water the plants for Monday, in addition to the usual constant maintenance of the day. ha I do the floors and fold the laundry on Tuesday, bathrooms on Thursday and so forth. Thank you for the kind words, Jessica! Love your method. Spreading the “load” throughout the week helps so much! 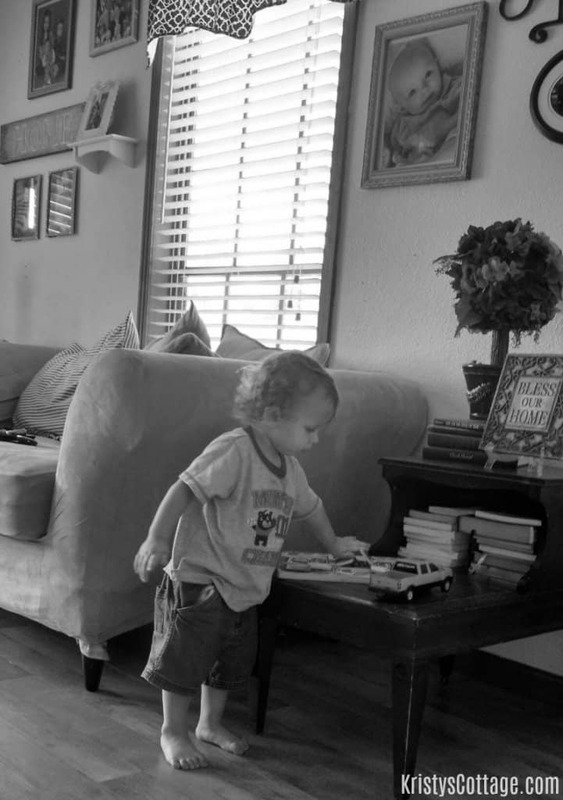 I like to think of our homeschooling house as “controlled chaos.” Sometimes barely controlled, lol. We are loving MFW ECC! At first, I felt a little overwhelmed by all the different books we had to use for the unit, but it’s starting to feel like a normal rhythm. I recently started reading a lot of the lessons aloud to my younger kids, so they are getting science and geography every week, too. We love it!